I an ideal world, the perfect compact would be tough, small and light enough to easily carry about and use anywhere and even possibly even keep in your pocket when not in use. However it would also perform optically as well as larger bins, especially in bad light and of course cost as little as possible! The reality is that this ideal equation is of course impossible and as with most other things in life, in optics, if you want to make a binocular strong in one area, there are always trade-offs or compromises that need to be made in others. 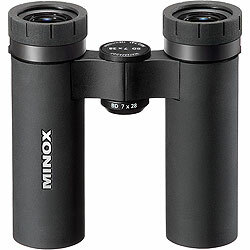 The most important area of any good compact binocular is that they have to be small, otherwise you may as well just get a larger pair of bins. The problem with this is that you have to reduce the size of their lenses, which in turn reduces their potential ability to gather light and therefore make a great quality image. 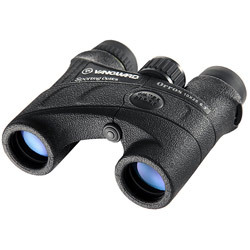 On top of this, if you want to make a cheap compact binocular, you also have to make other sacrifices as well, this may involve a number of cost cutting measures in a variety of areas and getting the balance between quality and prick can be difficult. 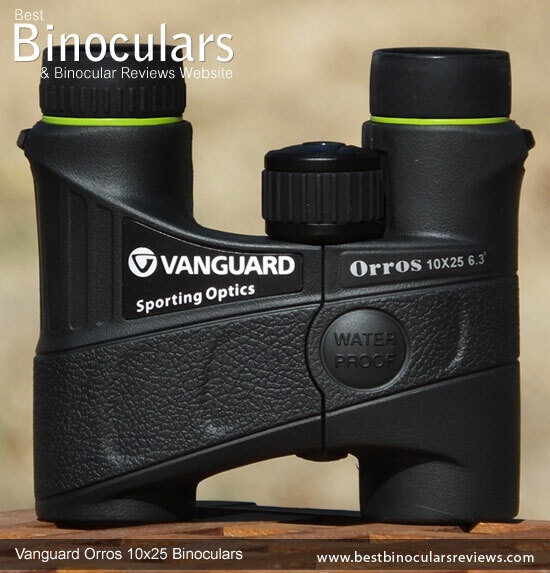 At first glance the outer body shape and design of this Vanguard Orros looks a lot like most other single pivot roof prism compacts, but on closer inspection you'll notice that they fold up into quite a different shape, which is down to their rather unique offset hinge and focus wheel. Vanguard's only real mention of this in their marketing is in relation to the location of the focus wheel, implying that its position makes for more comfortable adjustment of it. I will get to this later in the focusing section of the review, but for me it also offers another advantage over compacts that have a single centrally located hinge in that it enables the 10x25 Orros to fold up into a smaller shape, which is almost as small as the duel hinge design (see size comparison photos below) and in my opinion makes them a true pocket binocular that can more easily be carried about with you wherever you go. 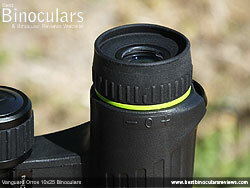 The objective lenses are set 5mm inside the ends of the barrels. For a compact this is pretty good and will provide some cover from light rain and help stop dust and other dirt gathering on them. The overall curved shape on the top of the body is comfortable to hold as it fits nicely into your hands. Like most bins, the frame has a rubber covering, mostly for protection and to help with grip, but it also dampens sounds and makes them less reflective to help you remain hidden and stop you from possibly frightening things like birds and wildlife away. This rubber is quite hard on the Orros and so is possibly a little less grippy than on some I have used, but Vanguard have added quite a lot of textured areas to it, that helps counter this. The top face has a circular bubble with "water proof" stamped into it, which at first looks like it may be a button or something, but it is only part of the design. So as you probably will have guessed these are fully sealed using O-rings, which protects the inner optics from water, but also prevents minute objects like dust particles from entering the system and spoiling your view. As well as waterproof, Vanguard describe them as being "nitrogen-charged". This means that they have also had all the internal air replaced with a dry nitrogen gas that prevents the internal optical surfaces from fogging up. This moisture and airless environment also prolongs the live of the binoculars as it prevents corrosion taking place and stops mould from growing on the inside of the lenses, which is something that you often find on vintage binoculars. There are no thumb indents on the underside, but there is a nice recess that your thumbs fit into when holding them and Vanguard have continued to add textured areas that help with grip. Vanguard do not state what the main skeleton of the Vanguard Orros compact binoculars is made of which is a pity, but the fact that they don't brag about it being aluminium or magnesium, means that it is probably a type of polycarbonate. This is quite a commonly used material, especially in this price range and even though it is probably not as strong as the more expensive alternatives, it is often quite a bit lighter. 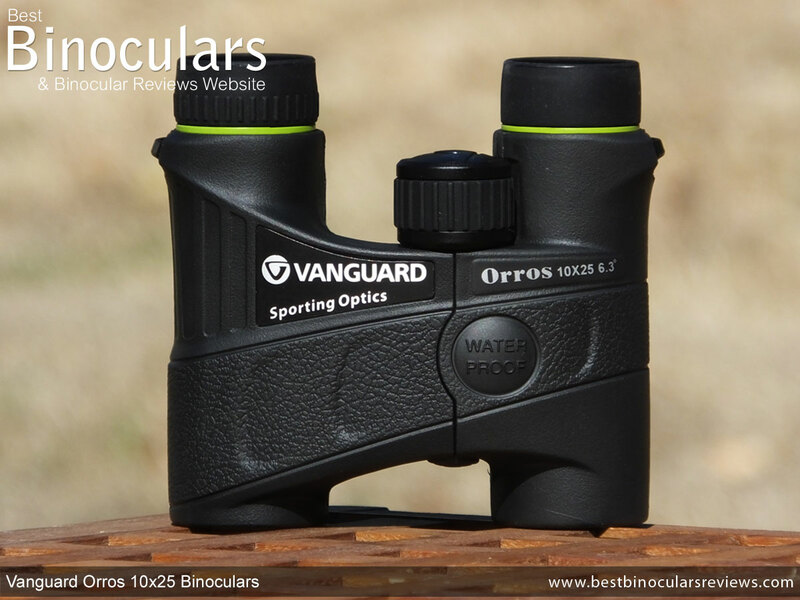 The Vanguard Orros 1025 comes with 10mm of eye-relief, which is not a problem for those who don't need or use their glasses whilst binning, but for those who do, this will probably not be enough for you to wear them and get the full field of view through the bins. 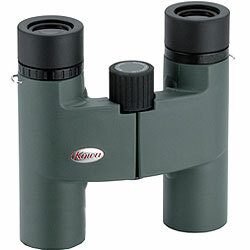 This problem for eye-glass wearers is compounded by the fact that the compact Orros binoculars also don't use twist-up eyecups and whilst the very shallow rubber cups can just be folded down, they do have a tendency to flip back up again. To test them, I put on my shades (as I don't wear glasses) and sure enough, whilst I could see through them, there were large dark rings around the edges of the view. I managed to improve this by folding down the rubber eyecups to get my eyes close to the ocular lenses, but still there just simply was not enough eye-relief for me and my glasses to get the full view. For those who don't wear glasses, these relatively simple eyecups work really well. They have an external diameter of 30mm and the thin 1mm wide soft rubber cups are comfortable and form a small but effective shield that stops some of the light entering from the sides and so helps improve the view. By opening and closing the hinge, you can adjust the distance between the ocular lenses to match that of the distance between your eyes. Nothing new here. But the range of this adjustment is a real strong point on the design of this Orros. With a minimum of 4cm (1.6in) and a maximum of 7.5cm (2.9in), the Inter-pupillary distance adjustment is excellent and will mean that they will easily accommodate most people, including children and adults with eyes that are set close together. 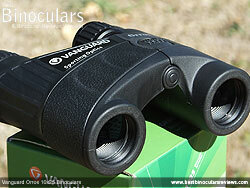 I love the offset focus wheel on the Vanguard Orros 10x25 binoculars. Really small compact binoculars like these can be fiddly, requiring an annoying amount of close attention, especially when focusing and especially for those with larger hands or when you are wearing gloves. 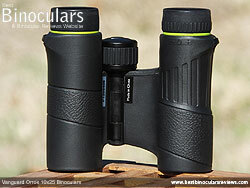 So Vanguard's answer is a really simple one, but is one that works: Unlike almost all bins that place the focus wheel centrally, these are offset meaning that the distance to it when using your right hand is about the same as that with a full sized binocular, making it much easier and more comfortable to reach and turn. However those with small hands, like children are also not disadvantaged as it is just as easy for them to adjust the focus with their left hand, where the distance to the wheel from the standard grip is very close, so everyone is a winner - genius! The wheel itself turns smoothly, is 26mm in diameter, which is fairly large for a compact and has a deeply grooved rubber track on it, all of which make it really simple to reach and turn accurately even with thickly gloved, freezing cold hands. For those who go out in winter, or want a pair of bins for activities like skiing, is important. The focus mechanism is highly geared and it only takes ¾ of a turn (270° of rotation) to move the focus from one extreme to the other. This makes for very quick large adjustments, but is also theoretically a little more tricky to make fine adjustments, however I never had any problems with adjusting the focus for a pin sharp image. To correctly focus & calibrate a binocular to compensate for any differences between the vision in your left and right eyes, all good quality central focus bins have a diopter adjustment. 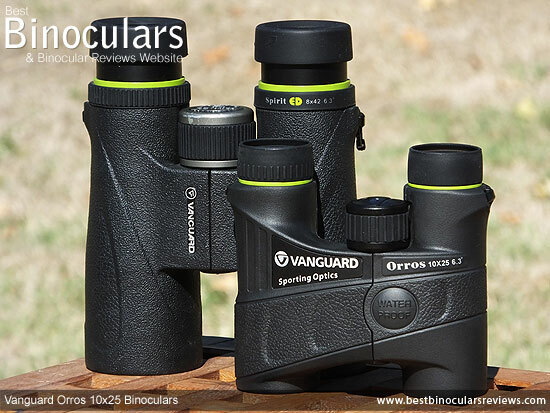 Like many bins this adjustment is made on the right ocular lens on these Vanguard Orros 1025 binoculars, but unlike many that have a ring that you turn, on these you twist the whole eyepiece. This works fine and it turns very smoothly with just enough friction to discourage too much accidental movement. For it to have been better, it would have been nice if it was lockable or ratcheted and I would have liked to have seen a scale or more markings, which would make it easier to remember your setting if it is not neutral and should it move accidentally. Vanguard advertise their dimensions as being 4.5in (11.5cm) long by 4.7in (12cm) wide, but I think they are doing themselves a small disservice as I actually measured these as being even smaller! They are actually 4.1in (10.5cm) long and with the central hinge fully open, their width is 4.5in (11.5cm) and their height is 1.9in (5cm). Folding them up, their width reduces right down to 3.5in (8.8cm), but their height increases to height 2.7in (6.9cm. 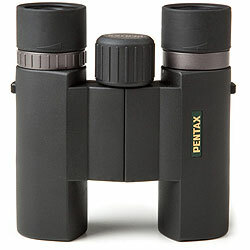 I have compared them to the duel hinged Steiner's in the photos above because as you can see in my article on the most compact binoculars, this two hinged design usually makes for the smallest shape, especially when folded and they really can fit into your pocket making them true pocket binoculars. 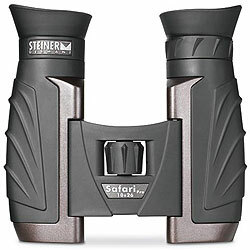 However as you can see, the Vanguard Orros is about the same width as these Steiner binoculars when fully opened and very slightly shorter. When folded the Steiner is still both narrower and shallower, but only by a small amount as these and their unique design enables them fold up to a very small size making them smaller than most other single hinged roof prism compacts and much smaller than most porro prism compacts. For interest and to put them into perspective, in the photo below I have also compared these Vanguard Orros 10x25's to the full sized Vanguard 8x42 Spirit ED binoculars, which for a 42mm binocular is also fairly small. 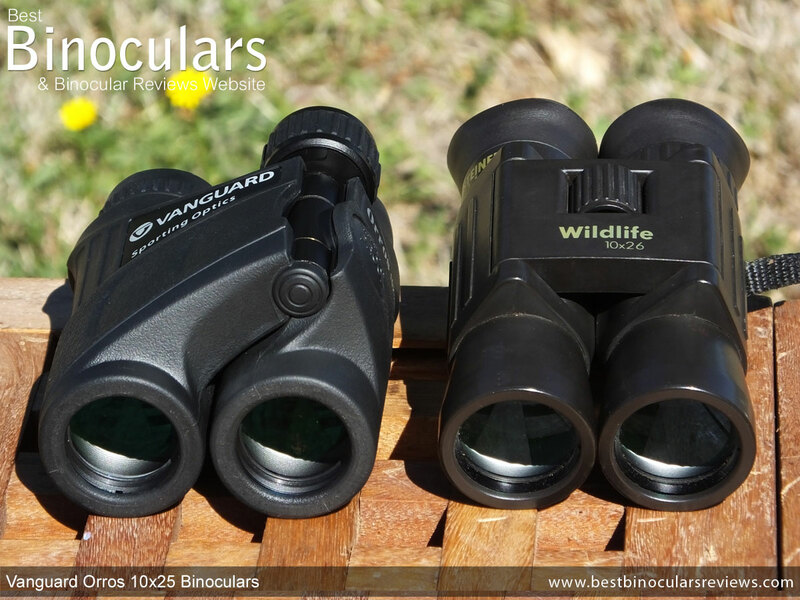 Like their dimensions, their weight of only 9.88oz (280g) puts them up there with the very lightest binoculars that I have ever tested (once again refer to the table above for comparisons). What I also like is even though they are so light, they do not feel at all flimsy, in fact the opposite is true as for me, they feel really robust. 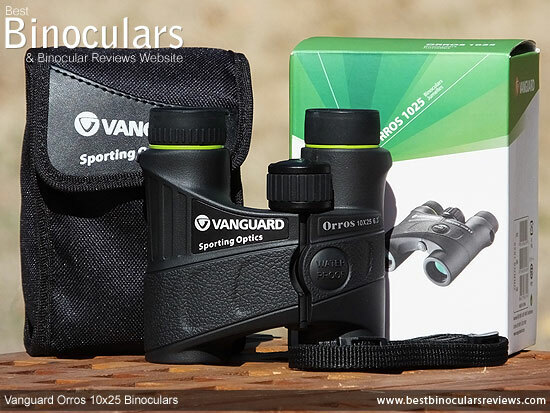 Made from good quality BaK-4 glass, these Vanguard 10x25 Orros binoculars use roof prisms, that have a straight through design that makes it possible for the manufacturers to produce a more compact shape than ones using porro prisms. This more simple design also makes it easier for them to fully seal the device and is why you often find that cheap binoculars with porro prisms are not water or fogproof. The Vanguard Orros also has ocular lenses that are 14mm in diameter which is near about the same as on most other compacts, but as you can imagine is quite a lot smaller than that on larger bins. As we know from the name, the Orros 1025 uses 25mm objective lenses, which for a roof prism compact is also fairly common as I think they provide a good compromise between their light gathering potential and their size and weight. These and all others with 25mm objectives that have a 10x magnification produce a 2.5mm exit-pupil (25 ÷ 10 = 2.5mm), which has to be said is on the small side. In good light, this is not really a limiting factor as your pupils will probably be round about the same diameter and so would not accept more light into your eyes anyway. It is in bad light, when your pupils have dilated, that these bins will not supply your eyes with as much light as bins with a larger exit pupil and so (assuming that all else is equal), the view through them will look less bright. The most effective way to improve the transmittance level is to add anti-reflection coatings to the surfaces of the optics. These increase the complexity of the manufacturing process and cost money, but can make a big difference in performance as they reduce the amount of light reflected away or in other unwanted directions and so can improve both the brightness and quality of the image produced. 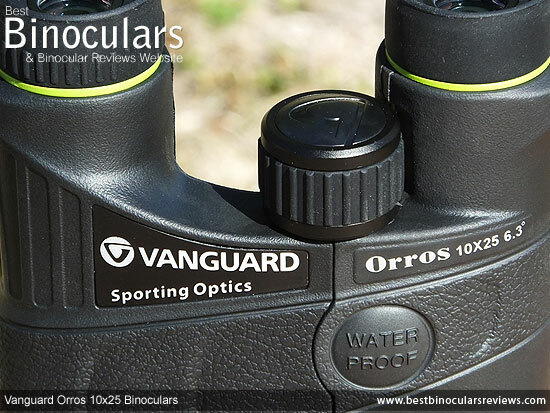 Vanguard advertise the Orros 10x25 as being "Multi-Coated" which means that they have added multiple layers of anti-reflection material to some but not all of the optical surfaces. This is better than the single layer "Coated" optics that is common within this price range, but not as good as ones with "Fully Multi-Coated" optics. 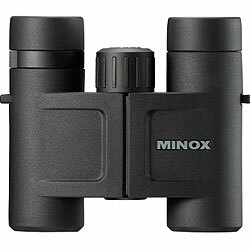 To be fair to the Orros, not many binoculars will be fully multi-coated in this price range and you will find many far more expensive than these that are also multi coated. To see what I mean, take a look at the comparison table below. A down side to the roof prism is that to get the best possible results you need to add a number of coatings to its surfaces which can be expensive. 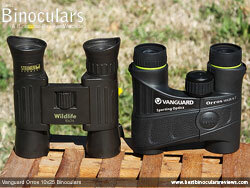 This is why, to save costs many cheap compact binoculars use porro prisms as these coatings are not needed. As far as I was able to ascertain, Vanguard have not added phase correction coatings to the prisms and as they do not mention or brag about what highly reflective coatings they use, I will assume that they use an aluminum mirror coating that still has a reasonably high reflectivity of between 87% and 93%, but costs a whole lot less than the silver or dielectric coatings found on higher end binos. These compacts have an angle of view of 6.3°, which means that the width of the view through them is 330ft wide at 1000 yards (110m @ 1000m),which for a 10x compact is excellent and is even wider than many lower powered compacts (See table below for comparisons). The closest that Vanguard state that you can focus on an object is 8.2ft (2.5m) away, however on my sample pair it was closer than that at 7.3ft (2.23m). Whichever the case, this is pretty good, but not quite excellent. The one area where these lack is with their relatively short 10mm of eye-relief, for those who don't wear glasses it is not a problem, but for those who wear them whilst binning, it will be a serious consideration to keep in mind. To judge the quality of the image is always the most difficult part of all the reviews that I write. Not only is it very subjective, but many aspects that I am looking for are often very hard to pick up and can change depending on many external factors like the quality of light. To help keep my opinions as constant and objective as possible, I compared the view through these Vanguard Orros 1025 binoculars with that of a number of my control binoculars that I use for all my reviews. The comparisons were also carried out twice, once in good light and once again after sunset. In good and poor light, I was not able to observe a difference in brightness between these and my 10x26 compacts, even though they have very slightly larger objectives, which is pretty good. However and as to be expected considering their small 2.5mm exit-pupil (25 ÷ 10 = 2.5mm, the image produced by these did not seem as bright in both poor and good light as that of my larger controls, which included an 8x32 and my 8x42 full sized control. So based on my observations and experience, I would say that compared to other similar sized and powered compacts these produce an image that is well above average in terms of brightness that should be fine for all but the poorest light conditions. If you are worried about image brightness and want to keep the size of the bin to a minimum, opt for the lower power of the Vanguard Orros 8x25 instead. It's larger exit pupil of 3.12mm will pass on more light to your eyes. 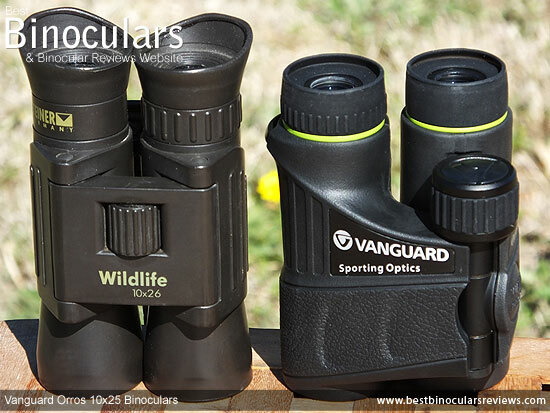 However if you especially need a good low light performance, I would consider a bigger binocular with larger objectives and one that has fully multi-coated optics and higher reflectivity coatings on the prisms, although remember these will also cost a whole lot more. The image contrast looked good enough and looked the same as that of my similar controls., however the brighter image produced by my larger bins does make the contrast between light and dark stand out more on them. Unlike many cheap binoculars that have artificial tints that are sometimes produced on purpose to hide other issues, the image colors on the Vanguard Orros look nice and natural. By looking along the edges of objects that contrast with that of their background, you can often spot color fringing caused by chromatic aberrations. The amount varies between binoculars depending on the how well the optics are designed, their quality and their coatings. Whilst color fringing is visible on these, the amount is not excessive and is only really noticeable when looking for it and whilst it is more than that on my high end bins, it is no more than what I would expect on a bin in this class. One of the strongest aspects of the view through these is just how little softening you get at the edges of the view and is less than many I review. Focusing on an object about 5m away I then take the view past that point without altering the focus wheel to see how far I can go until the image becomes blurry and out of focus. Compared to my 10x26 controls the distance was about the same, but was less than my 8x compacts, which is to be expected. As such I would rate their depth of field as about average for this class of bin. Overall, for a 10x25mm compact the image is good, compared to other 10x25's with a similar price tag, it is very good. Made from a nylon looking material, the case is not waterproof, but will prevent light rain from getting through to the optics inside. It also has just enough padding for a lightweight device like these and so should provide enough protection should you do something like accidentally drop them. The pouch does not come with it's own carry strap, but you can thread the bins neck strap through each side of the case whilst they are inside and use this as the carry strap. Otherwise there is a belt loop on the back that you can use to carry the pouch on your hip, which with a small compact like this is a great option as when not in use it frees up both your hands and will not swing about and potentially knock against something as it would with a carry strap. The case, or pouch as Vanguard calls it does not come with any extra pockets, which is a little bit of a shame as they can be useful for storing small objects like a cleaning cloth and your car keys for example. The fold over lid is fastened closed using strong Velcro, which works well, but does make quite a loud noise when you open it. Something to keep in mind so as not to frighten birds and other wildlife away at close quarters. The narrow width of the pouch is great for carrying about in your hands and for attaching to your hip, but it does mean that you have to fold up your binoculars to store them. 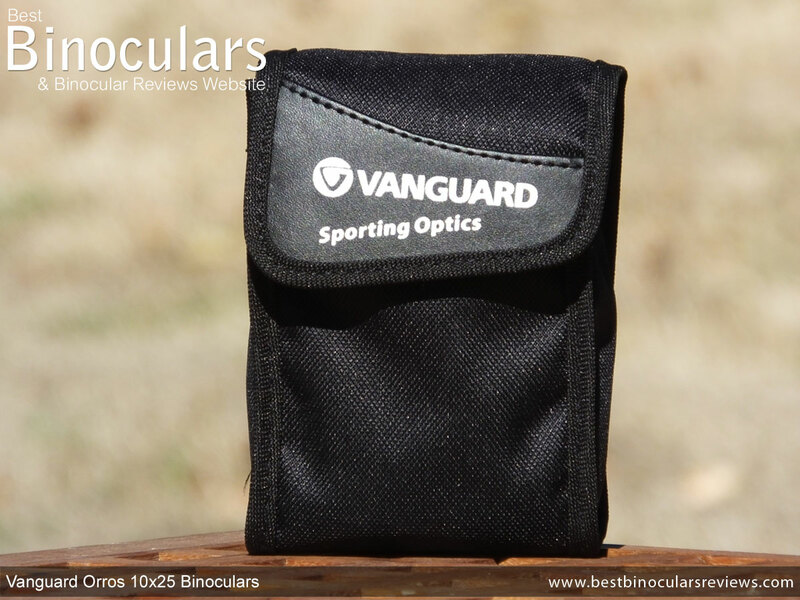 Once folded however these Vanguard Orros binoculars fit just snuggly enough to prevent them moving about, but not too tightly, so that it is difficult to retrieve and return them. As is the case with most compacts, the Orros 10x25 neck strap is pretty basic. Made from a woven nylon, it does not come with any padding and is only 9mm wide and about 1mm thick. 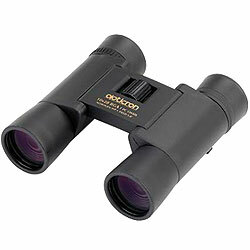 On a full sized binocular this would not be adequate, but for such a small, lightweight one as this, it is sufficient. 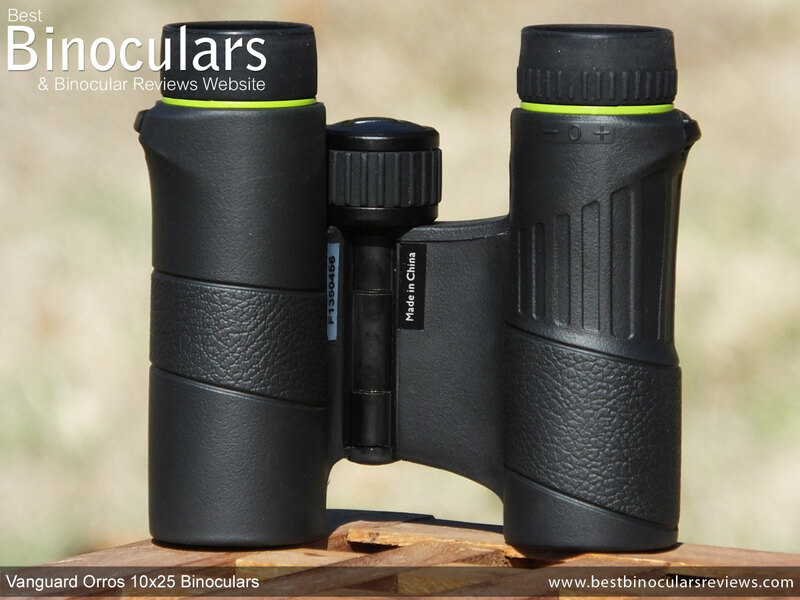 To connect it to the binoculars, you thread it through a couple of loops on the binocular and then through a commonly used slider buckle that makes it fairly simple to adjust the length to suit your preferences. Like many compacts, these do not come with ocular (rain-guard) or objective lens covers. Whilst this is a shame, the small pocket pouch can and does protect the lenses as well as protect the rest of the body and it is as easy and possibly quicker to store the bins in it as it would be to attach a rain-guard and lens covers to the binocular. Not only is there an included lens cloth, which is not that common in this price bracket, but the quality of it is very good and is perfect for lightly removing marks and dust from the outer optical surfaces. The user manual is written in a wide range of languages and comes in the form of a folded sheet of paper. 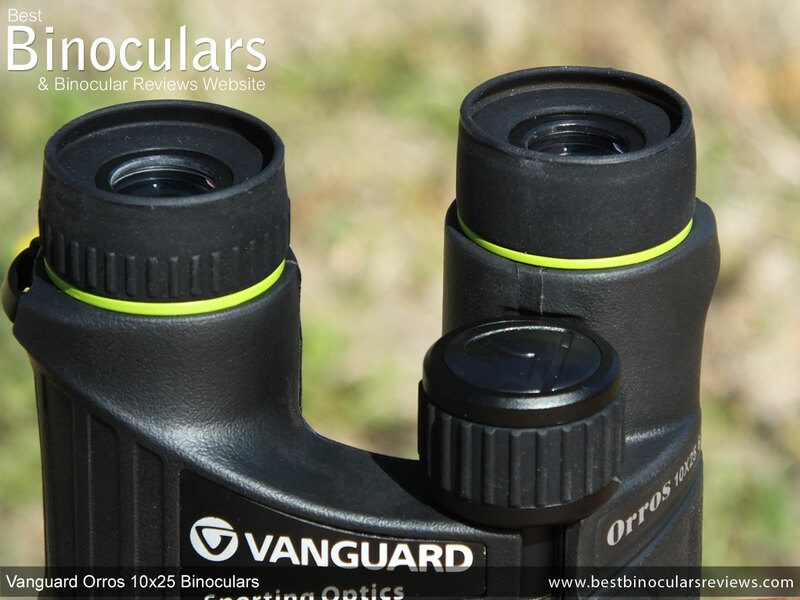 It is generic to the Vanguard Orros series and includes very brief details on the parts of the device, focusing, diopter settings, the accessories and how to fasten the neck strap. Also included is a card with the details of the 5 year warranty written in a huge range of languages. Strong Points: Their very lightweight and fairly compact design is perfect as I found them simple to carry and store on me when not in use and they are easy to hold and change focus, even with one hand when looking through them. Whilst they are very light, they do not feel or look cheap, in fact they feel really robust and because they are fully airtight and fogproof they should handle most reasonably bad conditions that you throw at them with ease. I really like the offset hinge and focus wheel as it will help those with small hands including children easily reach the wheel on one side using their left hand, whilst those with larger hands can use their right one and thus also have the wheel perfectly positioned for them. Their wide eye-distance adjustment range will also accommodate a wide range of users including those with close set eyes, which once again makes them also great for children. For me, I think their biggest strong point is that they don't really have any major bad points, which at this price is very good. Weak points? For those who want to wear glasses whilst using their bins, the small amount of eye-relief and the design of the eyecups that cant be folded down will be a problem as you will most probably not be able to see the full image. Like many cheap binoculars and especially cheap compacts the extras like the carry bag and the neck strap are a little lacking when compared to more expensive pairs. But to be fair to Vanguard, these bins are really small and light and so the "pouch" does offer enough protection and a thick, heavily padded neck strap would be overkill. 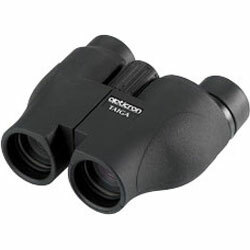 Perfect For: As with most good compacts these are ideal travel binoculars especially if you want to keep your luggage to a minimum and this combined with the 10x magnification means that in my opinion, they perfect safari binoculars in general, but even more so should you be going on a walking safari, a hike, camping or even skiing. If however, your main interest is birding at closer ranges, or you like to stay out late when the sun has disappeared behind the horizon, or if for example you are traveling to a rainforest where even during the day, the light may not be ideal. Then you may wish consider getting the 8x25 Vanguard Orros instead of this 10x version. With the lower magnification, you will have to sacrifice a little image detail, but with it's larger exit pupil, they will probably perform that little bit better in poor light and will have a wider FOV, making it easier to find and follow small, fast moving birds. 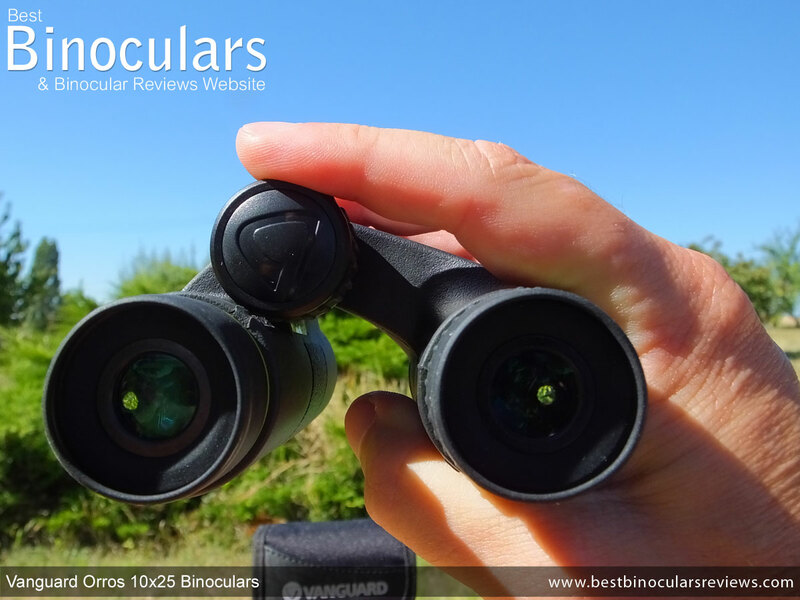 This small binocular will make it simple to take to most outdoor sports events, especially where the distances involved are a little greater and the action a little more sedate, making the 10x power more important than the wider FOV . So I am thinking of sports like cricket, sailing or even watching surfing. For fast moving sports, like tennis or motorsports, or if you are nearer the action, you may once again consider the wider FOV you'd get from an 8x25 as a better option. If we also take their low price into account, for me they also make perfect take anywhere bins and ones you could just leave somewhere handy like in your car or carry bag so that they are available wherever and whenever you may need a pair. For example I like a round or two of golf with my friends and it is always good to have a pair of bins in your golf bag as I cant tell you the amount of times we have spotted some birds or other wildlife on the course. Speaking of golf, they can actually also come in handy if you need to look further up the fairway on a new course, or to see if the group in front of you has moved on. Sure the the Vanguard Orros 10x25 may not match high end bins blow for blow, but I think for the price you are getting a great little pair of binoculars and ones that are of a much better quality and offer a much higher performance than what their very small price tag suggests. These in my opinion are not only good value, but great value and ideal for those looking for a cheap pair of compact binoculars. As with all the other full reviews on this website, this one is completely my own and honest opinion of the binocular and was made after fully testing and using them in my office as well as out in the field. I also spend a lot of time researching them and take great care to ensure that all the details are correct, however I do make the occasional error or am sometimes supplied with the wrong details. If you spot any mistakes, please feel free to contact me, so that I can rectify it/them.